Following the election of the new president, Iranian papers are covering issues once considered off-limits. This comes after years of censorship enforced by the secret services and the courts. However, a former member of the Khatami administration warns that it is still too early to talk about real change. Tehran (AsiaNews/Agencies) - After a decade of censorship and repression, Iranian media can enjoy greater freedom under President Rouhani. Articles and pictures centred on arrested political dissidents have made their way into the press. The impact of US sanctions and political leaders' responsibility have become topics of open discussion. Contacts with the outside world have been eased. One example of the changes underway comes from Etemaad editor's Ali Aalaei who was able last month to publish the story of Mohsen Safaei Farahani, a dissident arrested in 2009 and sentenced to six years in prison for challenging Ahmadinejad's election victory. The article featured several photographs, showing the anguished face of the reformist politician at his trial in 2010. "We got a good reaction," Aalaei said. "Press restrictions have lessened." Etemaad's editor is just one of the many journalists taking advantage of Iran's greater openness under Rouhani. Several unofficial newspapers and magazines have re-emerged from the shadows. As of last month, Iranians can read articles on topics once off-limits, ranging from the impact of sanctions to the usefulness of the decades-old revolutionary slogan 'Death to America'. During Ahmadinejad's second term, editors had been encouraged to send drafts of their newspapers to the intelligence services, who could edit or delete stories, said Saba Azarpik, a reporter who worked for publications, including Etemaad. "Today, no one sends advance copies," she said. "There are fewer taboos, fewer calls by the judiciary to explain our articles." 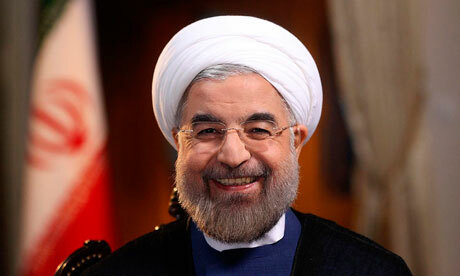 However, according to many Iranians, Iran is on the cusp of a new dawn or real change. Greater openness is just part of Iran's new more conciliatory approach towards the United States to end sanctions. In the past, Iranian authorities have liberalised press freedoms before curtailing them. After reformist President Mohammad Khatami was elected in 1997, dozens of new publications were launched, covering a range of issues and criticising the religious establishment. Within a few years, the gains were lost as a conservative-dominated parliament passed laws making it easier to prosecute journalists. By the time Khatami left office in 2005, more than 150 newspapers had been forced to close. The "press challenged the red lines of power, areas that the leadership wasn't comfortable with," said Aliasghar Ramezanpoor, a former deputy culture minister under Khatami, who now lives in the UK. In his view, it is soon to speak of real openness since current debates are mostly limited to topics permitted by authorities, including the relationship with the United States.